At 12 years old, boys have out grown of "kiddy" birthday parties, but may not be ready for the boy-girl parties of the teenage years. At this age, they are old enough to have an opinion about the kind of party they want, so ask them and let them take a lead in planning the party. If you plan to incorporate games, try to invite an even number of boys so there is not an odd boy out when it's time to play. For invitations to the birthday party, draw a tent on plain brown paper and print the party information inside the tent. Do not forget to ask guests to bring a sleeping bag. Give small flashlights and glow sticks as party favors. Put a tent in the backyard large enough to hold the boys. Serve hot dogs and hamburgers cooked on the grill, along with the cake and ice cream. 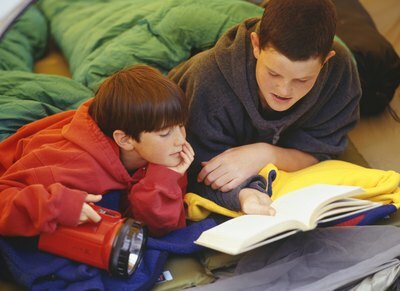 Top it off with a late-night snack of roasted marshmallows, or leave food available in the kitchen for a midnight food raid, as 12-year-old boys tend to have never-ending appetites. Entertain the boys with monster bubbles, ghost stories, a scavenger hunt and old movies. 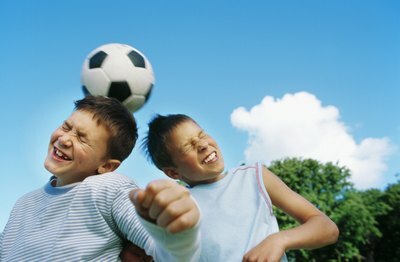 Most 12-year-old boys are beginning to take a real interest in sports. Print invitations on paper featuring different sports and ask each child to wear a T-shirt from his favorite team. Use paper products with a sports theme and give miniature footballs, baseballs, basketballs and soccer balls as favors. Serve hot dogs, popcorn, peanuts and nachos, and quench their thirst with a sports drink. Have a local bakery create a sports-themed cake. 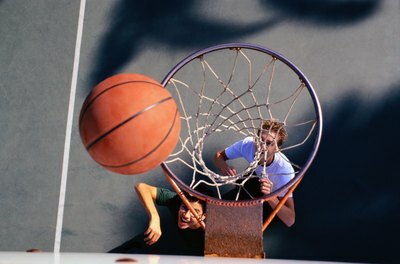 Hold a free-throw basketball contest and play a game of whiffle ball to keep the boys entertained. 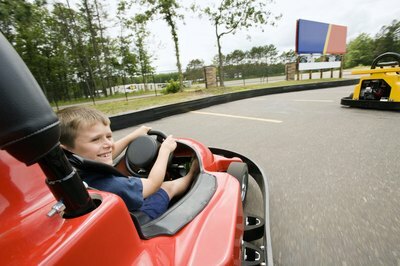 Check a go-kart track or amusement park near you to see if it can accommodate birthday parties, and reserve the track for the date of the party. Make each child a black-and-white checkered flag name tag and purchase invitations, plates and napkins with a go-kart design. Give race car models and race trading cards for favors. Serve pizza and chips along with a race car-themed cake and ice cream. Racing the go-karts will keep 12-year-old boys busy for the afternoon. 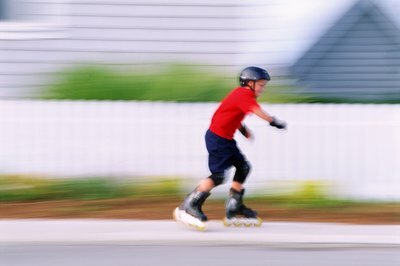 Skating parties are economical, and they keep the boys entertained for hours. Make it a theme party and have each boy dress like a monster or their favorite rock star. Get a cake that looks like a monster or a guitar. Use the theme on the invitations and in the decorations. Have a helium-filled balloon for each boy when they arrive. Serve finger foods like sandwiches or pizza with chips and keep a box of wipes handy for sticky fingers. Give whistles and small rubber balls as favors. Divide the boys into two teams for a relay race and have candy bars for the winning team.